Introducing the first cabin for Sky Terra fitness & weight loss resort! Welcome David and Kay to the Green River Cabin Family! Happy to be a part of another project for Rippling Waters Campground! Congratulations to Cinch and Mary Belser on their radiant RV Park Model! Non-exposed dove tails for a more contemporary look. They will be capped on site. Shipping it with a few things to install on-site. Side entry will be perfect for a great big deck! MONDAY - FRIDAY (9-5) SAT. (10-3)Walk- ins welcome. *For plant tours please call for an appointment. 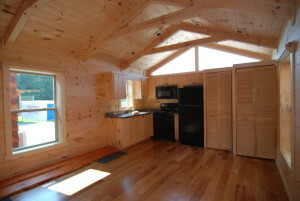 Thank you to 4 Paws Kingdom Campground for you recent purchase of a beautiful cabin located near Chimney Rock, NC. GreenRiverLogCabins2019-03-11 13:42:392019-03-11 13:42:39Thank you to 4 Paws Kingdom Campground for you recent purchase of a beautiful cabin located near Chimney Rock, NC. Wow, what a great 2018... all-in-all we produced (10) cabins for Pickens Co. Mile Creek park, (32) cabins for Yogi-Bear Jellystone, and we are finishing up (10) cabins for Ft. McCoy Army Base in Wisconsin. We are so grateful to those customers and their multi cabin orders! I would like to thank both of you for a great experience in the purchase of my log cabin. Todd was great letting me bug him with all the questions down to electric receptacles and up to the loft. 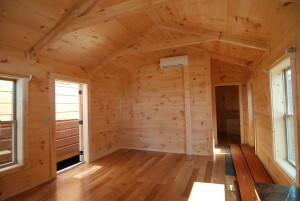 The cabin was delivered in perfect condition, which given the road we live on was not very easy. We had a couple of minor issues with the cabin and I got a call from Dean and it was taken care of in a couple of days. 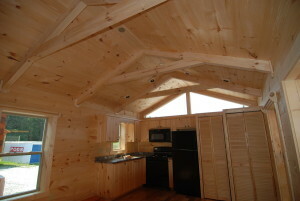 I have had contractors over and they are all very impressed with the workmanship of the cabin. Thanks again for a great job. It's been 5 years since we got our Green River Cabin. As you can see, it is as good today as when it was delivered. Even in the Colorado environment there is little to no shrinkage of the logs. All aspects of the construction, appliances, plumbing, electrical, and everything else is flawless. 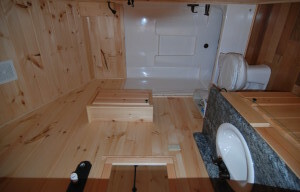 We are extremely pleased with our new cabin, the overall quality and craftsmanship has exceeded our expectations. It was a pleasure dealing with Todd in the sales dept., he was very informative, flexible, and patient with us during the planning through completion process. We visited the factory a few times and always felt welcome as we browsed around the production line. After researching several other cabin manufacturers, we are certain we made the right decision by choosing Green River Cabins. 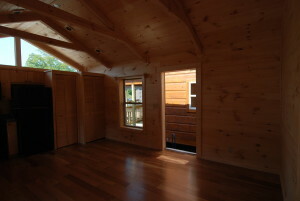 Integrity and flexibility, the two words that come to mind about working with Green River Cabins. 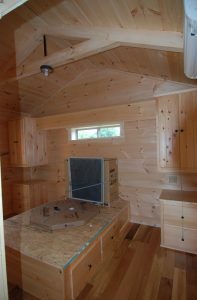 Living up to responsibilities, listening to their client and trying new ideas allowed me to create a cabin that was perfect for its need. This cabin design also had never been built before. I recommend and commend that them for that. Jon and I want to thank you for all of you time and patience and help with our cabin. We love it!!! It is just so comfortable and cozy. Anyone that has been here and seen it is amazed that it is only 400 sq.ft. I have given your info to several interested people . 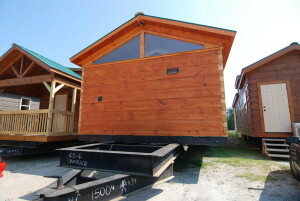 2 NC MODULAR Rental Cabins 14×42 Another Cabin for the State of MO!